Check out this quick video of Gerard explaining what exactly is the purpose of La Cinémathèque Film Club. We’ll be kicking off our Chinese Series this Sunday, February 3, with Ann Hui’s A Simple Life, starring Andy Lau. This screening will begin with an introduction by expert guest speaker Lucy Lee. Lucy Chu Lee is a veteran Chinese language teacher at Livingston High School. She lived in Hong Kong for ten years before moving to New Jersey. For our Spring 2019 series we will explore Chinese Film! Our four SOPAC dates will be the following Sundays at 2pm, so get them in your calendar now and save the dates! We've had such an incredible time uncovering these amazing female filmmakers with you that we're back to do it again in 2018! We are so pleased to announce La Cineémathèque Film Club's Spring 2018 series: Women Film Directors 2. We're going to go even deeper into the world of women-created cinema and we hope you're as excited as us! La Cinémathèque Film Club continues its series of Women Film Directors. The series is a chronology of pictures directed by women from around the world. It explores the social, economical and political aspects of each director’s home country and the cinematic language of the female filmmaker. After each screening, there will be a discussion about the different messages and viewpoints of these great directors, their impact on the world of cinema and their impact on the lives of women from various cultures. Memberships are available now from SOPAC on their website, at the box office, or by phone at (973) 313-2787. We've also got some tie-in screenings coming up in West Orange and South Orange. Gerard Amsellem will be presenting Love and Anarchy as part of the West Orange Classic Film Festival in February. Tickets are available on Fandango. You do not have to have a SOPAC membership to participate in this screening. The Friends of the South Orange Library will host several FREE screenings on weeknights at 7pm. You do not have to have a SOPAC membership to participate in these screenings. That's a ton of movies! We're very excited to bring these films to you and hear your unique insights at our post-film discussions. Get your tickets now, and don't forget to tell your friends! Read all about the Women Film Directors series in S.O. Loud! La Cinémathèque in the news! La Cinémathèque's Women Film Directors series has been featured in News Record! Click here to read the full article. Now you can wear your love for La Cinémathèque right on your sleeves with our brand new, ultra soft, limited edition logo T-shirts! You've been a loyal member and supporter of La Cinémathèque and now you can proudly show that off. 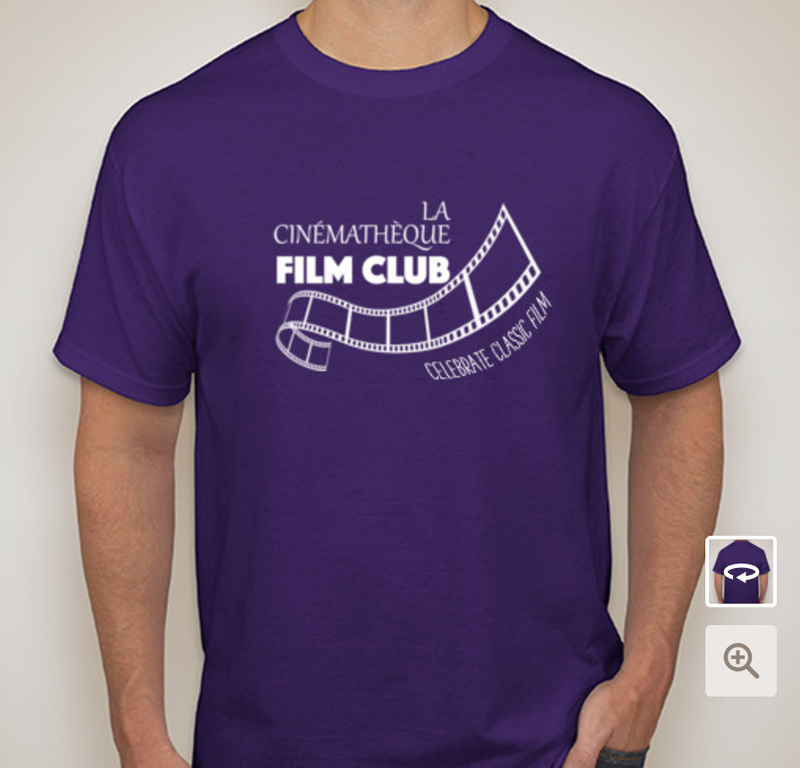 This could be you: dressed in the coziest T-shirt and repping your favorite local film club! Proceeds from T-shirt sales go to La Cinémathèque and will play a direct role in our continuous effort to bring independent and classic film to northern NJ, enriching our community with quality arts education. You can check the shirts out HERE - and don't forget to share on social media! Dominique McIndoe wrote a lovely piece about La Cinémathèque in Jersey Spotlight! Check out the article, which features the screening of Or (My Treasure) from our recent Israeli series. Riker Hill Art Park artist Gerard Amsellem presents Frère. The show honors the memory of Gerard's brother Alain Amsellem, also an artist, on the 10th anniversary of his passing. The show will take place at Riker Hill Art Park, 284 Beaufort Avenue, Livingston NJ, Building 509, “Studio 509” event space. Check Facebook for more information or to RSVP, or contact Gerard Amsellem. When we study film, we often speak of directors as the author of the work, or the auteur. Auteur theory states that a director's oeuvre contains identifiable elements of personal style that distinguish that filmmaker's work from that of others. This spring, we will explore the work of two auteurs, each integral to the history of film. We will begin with two films by French New Wave filmmaker Alain Resnais and end with two by American early independent cinema director John Cassavetes. We will explore the similarities between these filmmaker's works and discuss how they have left their mark on film history. Gerard Amsellem spoke to Essex News Daily about La Cinémathèque's Israeli Film Series and the importance of quality cinema education. "Israel is a very tiny country and we talk about Israel a lot. 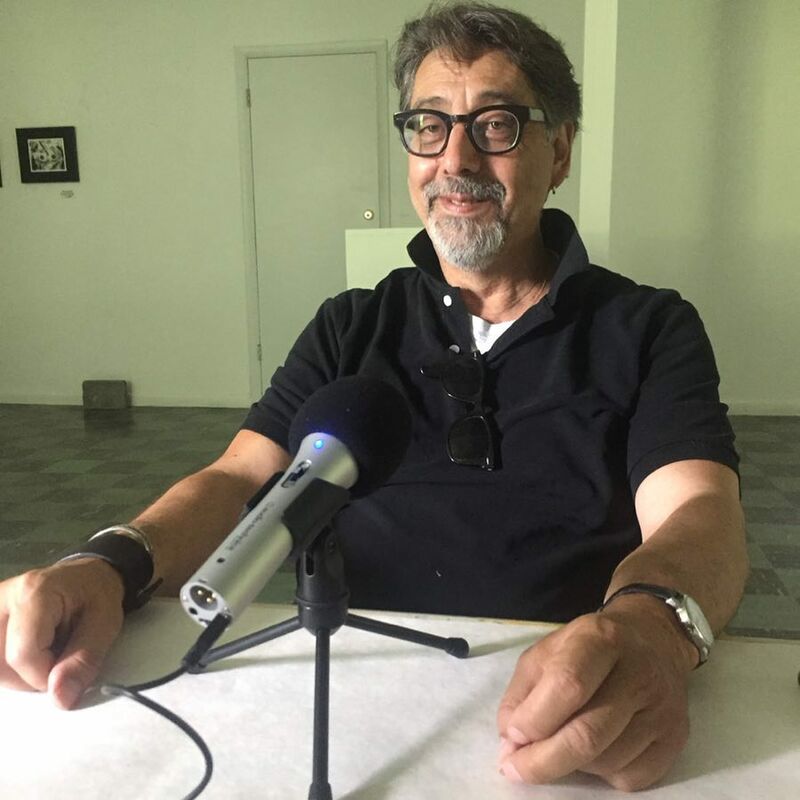 Since the 1980s, there have been a lot of filmmakers coming from Israel, and there are very strong films connected to everything from political affiliations to questions of existential beliefs." Check out the rest of the article here and don't forget to share! For anyone planning on attending our screening of Cup Final on Sunday, September 25 at 2pm, please be warned that there will be road closings and you should plan your trip accordingly. Sunday is PlayDay South Orange and South Orange Ave. will be closed between Scotland Rd. and Ridgewood Rd. In addition, several of the side streets in the town center will also be closed. In order to access the parking lot behind the SOPAC and the train station you will have to arrive via 3rd St. Please allow yourself extra time for travel and parking and keep the road closures in mind as you plan your trip. See you Sunday! It is our absolute pleasure to announce that for select Israeli film series screenings we will have a guest lecturer, Dr. Samuel Peleg. Guest lecturers at La Cinémathèque are an important part of our educational experience. They provide a much deeper cultural understanding of the works we screen and can provide insights beyond what we may be able to do on our own. This is why we couldn't be happier that Dr. Peleg will be joining us and bringing his expertise in conflict analysis and resolution and political science to these select Israeli series screenings at the SOPAC. Dr. Samuel (Muli) Peleg is a professor and researcher who specializes in conflict analysis and conflict resolution, negotiation, decision making, leadership and intercultural/inter-organizational communication. He is currently the Rutgers University Political Science Department’s Director of Development for the newly established MA Program in UN and Global Policy Studies, as well as the Director of the Rutgers University-Ritsumeikan University, Kyoto exchange program. He was a visiting faculty member at the negotiation and conflict resolution program (NECR) at Columbia University (2009-2013). Dr. Peleg is a research fellow at the Stanford Center for International Conflict resolution and negotiation (SCICN). He is the author of several books and articles about his areas of expertise. Among his publications are Spreading the Wrath of God: From Gush Emunim to Rabin Square (1997, Hebrew), Zealotry and Vengeance-quest of Religious Identity Group (2002, Lexington Books); If Words Could Kill: the Failure of Public Discourse in Israel (2003, Hebrew University Press), and Fighting Terrorism in the Liberal State (2006, IOS Press). His new book Identity and the Coordinated Management of Meaning will be published in early 2016. Dr. Peleg studies negotiation processes and peace-building operations and has been a top advisor on leadership and negotiations to the Peres Center for Peace. In this capacity he had taken part in several rounds of peace negotiations between Israelis and Palestinians as well as Israelis and Jordanians. He has also counseled the Prime Minister’s office, the Foreign Office and the National Security Council. Currently, Professor Peleg serves as a Fellow and board member of The Martin Luther King- Realizing the Dream Foundation as well as serving on the advisory board of the Justice Project. In 2003, Dr. Peleg was a founding member of One Voice, an organization which promotes reconciliation between the various factions of the Israeli society as well as between Israelis and Palestinians. In 2005 Dr. Peleg was invited to participate in the terrorism research committee at the distinguished Club de Madrid. A year later, in May 2006, he won the NATO research award for the study of terrorism in liberal states. Dr. Peleg is one of the core group researchers of Peace Journalism, an ongoing project on a more balanced and contextualized media coverage of conflicts. Dr. Peleg is a senior adviser on negotiation, decision-making and leadership to several non-profit organizations such as Communities without Boundaries and the social protest movement in Israel and to business firms including Negotiated Solutions, Inc. and CMS- Conflict management strategies. He is on the Advisory Committee of the Justice project and the CMM-Coordinated management of meaning Institute. Dr. Peleg will speak at select SOPAC Israeli series screenings, including the first film, Cup Final on Sept. 25. Membership for the series is available through the SOPAC box office online, by phone, or in person. Your membership covers all five SOPAC screenings only; admission to individual SOPAC screenings is not available and tickets to the JCC screenings must be purchased separately. For more information on the Israeli series click here, or see our calendar for a complete list of screenings and events. Unfortunately we did not have enough interest in our Great Directors day long events on John Cassavetes and Alain Resnais so we were forced to cancel those dates. We are looking into rescheduling the events and that information will be posted here on our website, as well as in our monthly newsletter and on our Facebook page when the information becomes available.